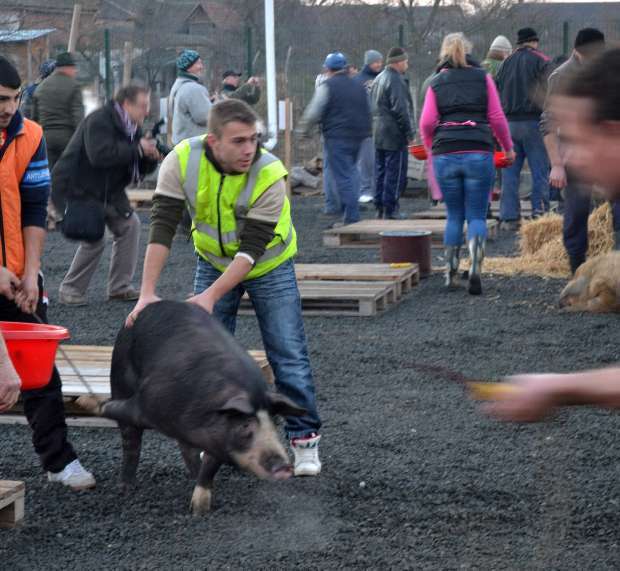 Twelve teams slaughtered one pig each on Sunday morning (December 29) in Pecica, a city in Western Romania, during the fourth edition of the local gastronomic competition called “Pomana Porcului” (roughly translated as the pig's alms). 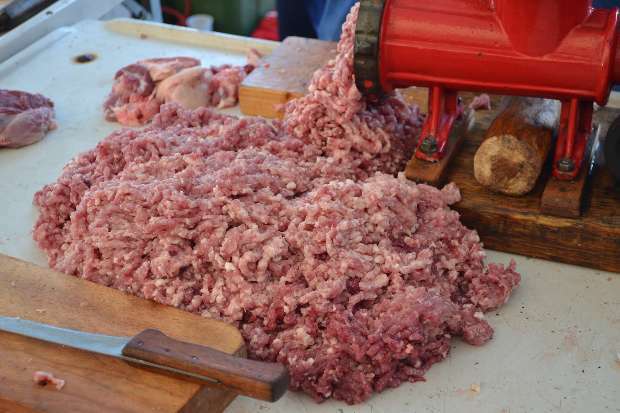 One of the most important winter customs in Romanian villages is the pig slaughtering, usually held on or after December 20, the day of Saint Ignatius. 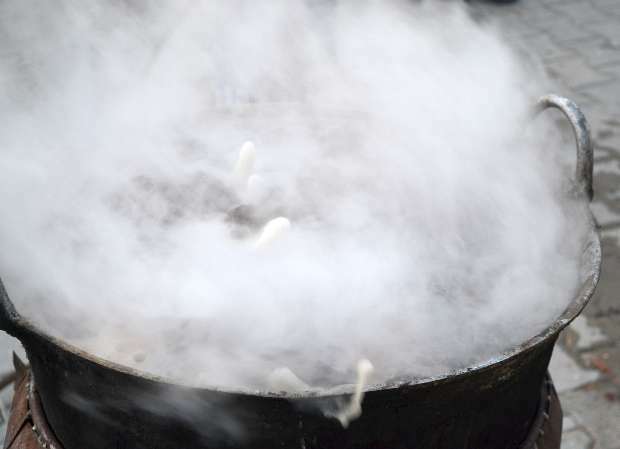 To keep this practice alive, the town of Pecica organized the festival first time in 2010 as part of a cross-border project, together with the commune of Domaszék in Hungary. The event gained popularity year after year: this time it attracted eight local teams, one from the neighboring village of Turnu and three representing Hungarian villages. Early in the morning, following the EU rules, the animals were stunned by a specialist and then slaughtered by the butchers. 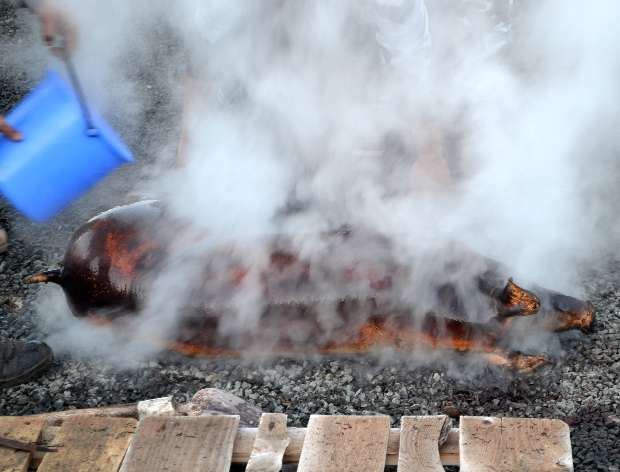 One of the local teams followed the tradition and, even if it took them longer, used straws to roast a mangalica, a hairy breed of pig. 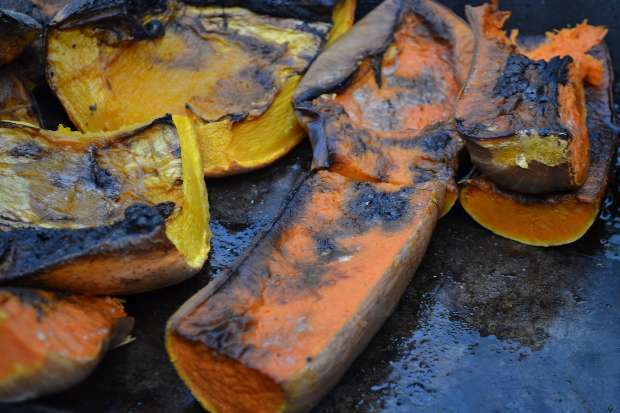 The Hungarian team from Domaszék additionally offered fried pumpkin, which is believed to get magical powers in this period of the years. Later, two members of the same team delighted the audience by playing the zither, a traditional instrument. 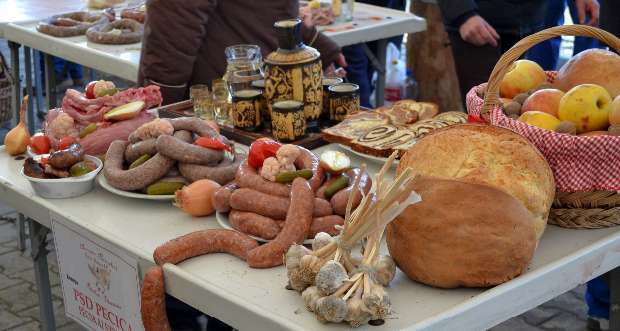 The twelve teams prepared sausages, “caltaboşi” (a specialty made from meat, lungs, liver, rice and spices) and „jumări” (scraps, crisp pieces of rendered animal fat), which were all tasted by a jury. 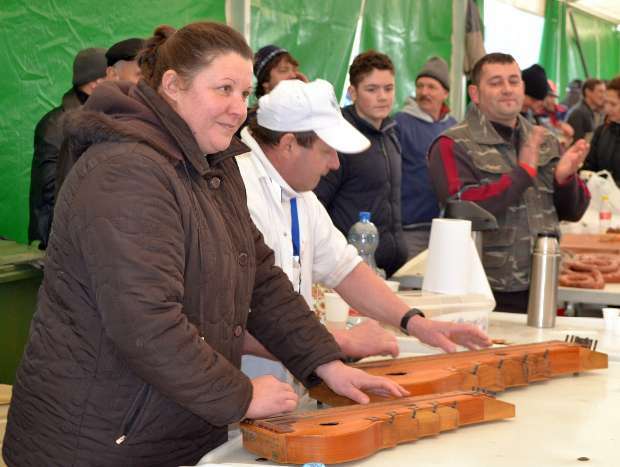 The locals who attended the festival were given blood fried with onions and fried liver as breakfast and stew at the end of the contest, while the teams, the organizers and their guests were invited to a dinner with a traditional menu and music.